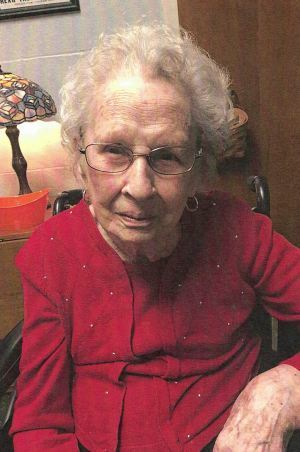 Rose Gilbert McQueen passed away June 2, 2018 at the age of 100 years at Maple Manor Christian Home in Sellersburg, Indiana. A native of Blackwater, Kentucky Rose was a graduate of Eastern Kentucky University and was an elementary teacher in Ohio, Indiana and Kentucky. She is survived by her step-son, Jim (Beth) McQueen, grandchildren, Kathy Brooks and James (Shannon) McQueen, great-grandchildren, Robert and William Brooks, sister-in-law, Margaret Gilbert and caretaker, Larry Gilbert. She was preceded in death by her husband William Maynard, step-son William Maynard McQueen, Jr. and her parents John S. and Mahala Gilbert and nine siblings. Funeral services will be held at 10AM Tuesday at the Garr Funeral Home in Sellersburg with a graveside service to follow at the Frankfort Cemetery in Frankfort, Kentucky at 1PM. Visitation will be Monday from 6-8PM and anytime after 9AM until the time of service on Tuesday. Online condolences can be made at www.garrfuneralservices.com.